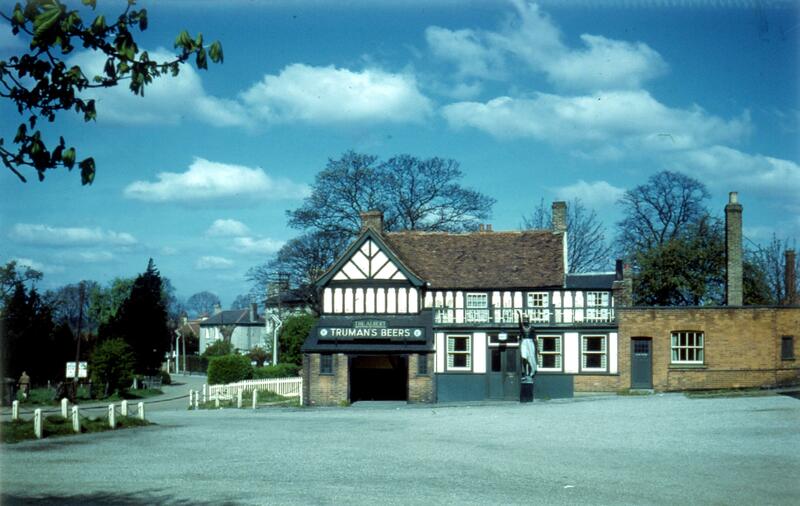 The Albert in about 1960. The figurehead is right of centre. On the left, the main road turns left into Chipping Hill. The present main road was not built till about 1970.